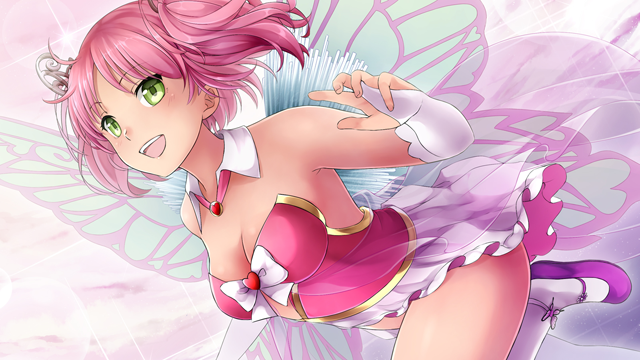 Fans of the puzzle dating game HuniePop can rejoice! The official digital art collection which showcases artwork from HuniePop can be purchased on Steam and on HuniePop’s website. Included in the collection is a wide variety of art such as concept art, in-game and promotional. The images are available in high resolution and are free of any logos and watermarks. There are about 50 spectacularly rendered CG pictures and 20 environmental hand-painted backgrounds. Also featured are each of the girl’s in-game sprites with all their outfits, hairstyles, facial expressions, and poses. In addition to this, you’ll also get their promotional art, special backer reward paintings, character profiles, unused content, and much more. These images can come in pretty useful if you’re into the game and want to make wallpapers, wish to make these into posters to hang on your wall, if you’re interested in learning how to draw anime, or if you’re into anime in general. If you’re a fan of this game, head on over to HuniePop’s website or their Steam store and pick it up. It should be noted that you can only acquire the uncensored material if you purchase the collection off their website as it is not included in the Steam collection. Stacey is a 36 year old from Canada. She has been playing video games since she was 5 with her first gaming system being the Texas Instruments TI-99/A 4A. She fell in love with Nintendo when her brother got an NES for Christmas. She later got into the hand held market when she got a Game Boy. She's a die-hard fan of PC, hand held, and iOS games. Her favourite genres are puzzle, MMO, and JRPG. Her favourite games of those genres are Tetris, World of Warcraft, and Final Fantasy VI. She was involved heavily in the emulation scene in the late 90s and posted news on quite a few well known emulation news sites. She has a snowshoe Siamese cat named Elliot whom she loves with all her heart.